We’ve got a great property to showcase this week! 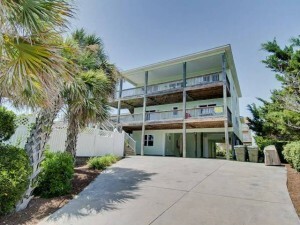 After reading all the details and hearing from previous visitors, we just know you’ll be jumping at the chance to make 2 Palms your next vacation home. 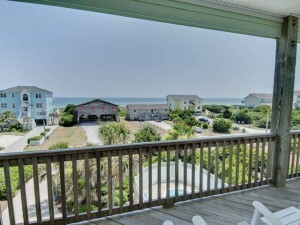 This large second row cottage in Emerald Isle has 6 bedrooms, 5 ½ bathrooms, and can sleep 18 guests. 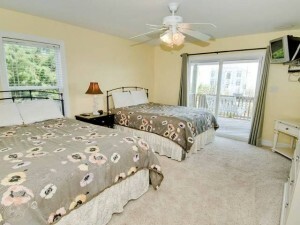 The two master suites each have roomy king beds, with one having deck access. All of the spacious bedrooms come made with Sand Castle Club linens.  Enjoy a cable television in every bedroom and many of them including a DVD player. You can also keep up with those left back home with free unlimited long distance in the US and wireless high speed internet access throughout the property. Oh, and don’t forget about the elevator which can seamlessly take you from one floor to another. Additional entertainment can be found in the cozy and colorful living room, with a 42-inch-high definition cable TV with surround sound system and DVD player. There’s room for 10 guests at the spacious main dining room table, with another 6 seated at the breakfast table, and two additional seats at the bar. 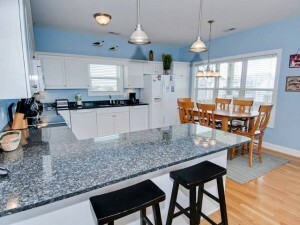 The open kitchen features beautiful white cabinetry and smooth granite countertops. You’ll have a hard time leaving it. 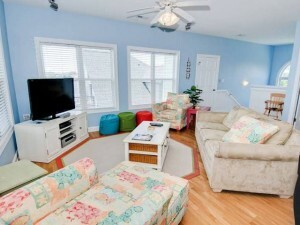 But then you can head out on the covered and open decks. Take in the sea air and the sunrise (sunset?) on one of the porch rockers or lounge chairs, all with stunning ocean views. 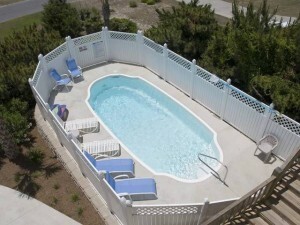 When it’s time to cool off, you have a quick and easy walk to the beach, or stay at home and relax in your private 14’ x 25’ swimming pool. 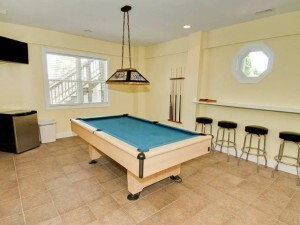 If a storm rolls in, the fun doesn’t have to end with a rec room on the ground level supplying a pool table, TV, DVD player, and wet bar. 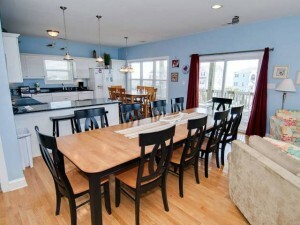 2 Palms is a highly-rated second row home with amazing ocean views and a reverse floor plan. 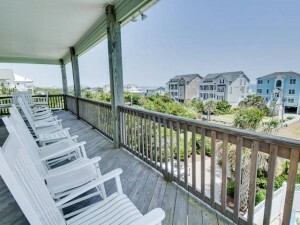 With room for multiple families and a plethora of amenities, it’s just about perfect for anyone. 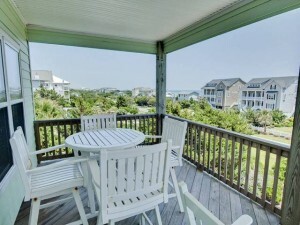 Check rates and availability, and view additional property photos of 2 Palms today.